Participants in the dynamic cybercrime underground ecosystem are constantly working on new cybercrime-friendly releases in the form of malware bots, Remote Access Tools (RATs) and malware loaders. 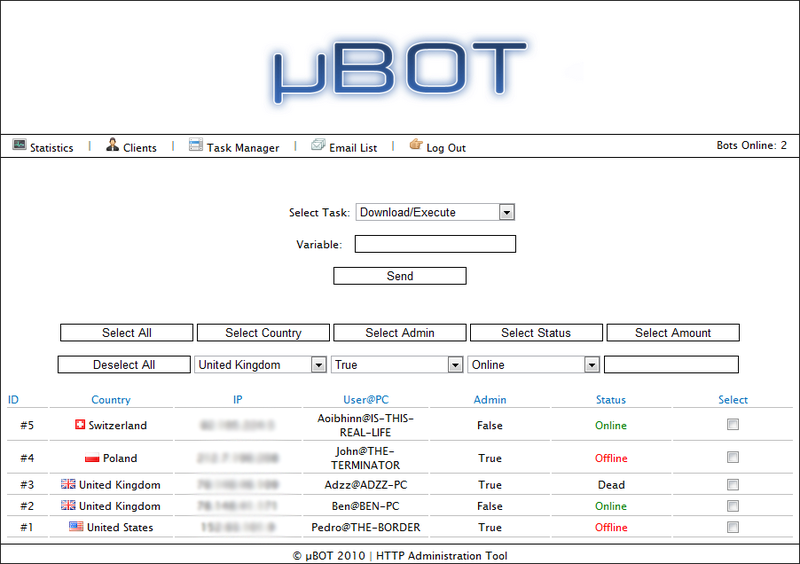 Continuing the “A peek inside…” series, in this post I will profile yet another DIY (do-it-yourself) malware bot, available at the disposal of cybercriminals at selected cybercrime-friendly online communities. – Coded in VB6, no .NET Framework dependency! – Small, ~10kb compressed, 36kb uncompressed. – Location plot, map graph. – Pie Charts [Bot Status, Operating System, Admin]. – Tool-tip for last commands sent for each client. – Integrated Ajax, means everything is realtime! From client list to bot count. 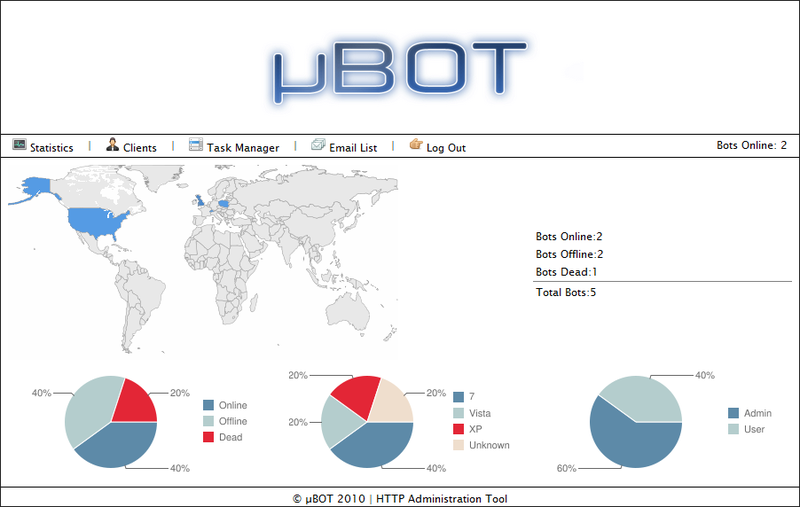 The AJAX- based bot is coded in VB6, meaning there are no .NET Framework dependencies. Next to the small size — ~10kb compressed, 36kb uncompressed — the malware bot offers an easy to use web-based command and control interface, positioning it as the perfect tool in the arsenal of the malicious attacker. Webroot’s Security Team is currently in the process of analyzing the malware bot, to ensure that Webroot SecureAnywhere customers are protected for its variants.